The Joey Pouch is designed to be a smaller alternative to our larger 3 liter hydration systems or as a replacement for a traditional canteen. 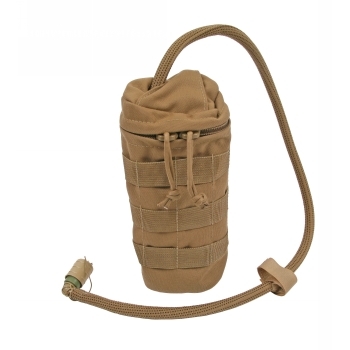 Does not Include hydration bladder, For use with .75 liter bladders, the pouch features mil spec construction from 1000 denier Cordura Nylon with a dual pull heavy duty zipper and external webbing and will also hold a standard Nalgene bottle. 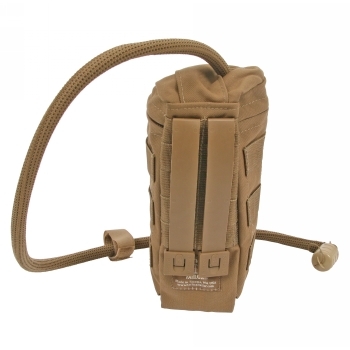 Attaches to MOLLE/PALS style webbing with two long MALICE CLIPS® (included). Available in ACU, MultiCam® and OD.